Acupuncture Treats Trigeminal Neuralgia, TMJ, Dental Pain, Bell’s Palsy, and More. Acupuncture is a natural and effective treatment for all types of facial pain. At Integrative Acupuncture in Montpelier and Williston, Vermont we have experienced success treating jaw pain and dental pain. We are experts at managing and eliminating sharp, shooting pains as well as dull and aching pains in the face. We confidently treat pains around the eyes, gums, forehead, jaw, and sinuses using gentle and proven techniques. The providers at IAOM have decades of experience treating facial pain and welcome you to try acupuncture. Facial pain is primarily treated by western medicine using medications and surgery. Sometimes antidepressant and anticonvulsant medications are used, which may have strong side effects. Recently, western medicine providers are recommending acupuncture and meditation to treat facial pain. Trigeminal Neuralgia is a type of facial pain that causes electric shock feelings to the face. Just like acupuncture is successful at treating back pain, it successfully treats all types of facial pain. By increasing the circulation of blood and reducing pressure on specific nerves, acupuncture can eliminate facial pain. We frequently treat jaw pain, sinusitis, injury to face, trigeminal neuralgia, TMJ, and dental pains. We gently incorporate acupuncture and often heat therapies like moxibustion to create circulation and reduce pain quickly. 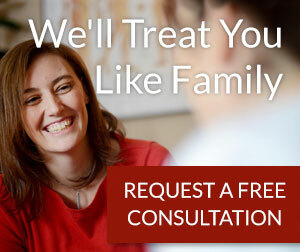 We want you to heal, quickly and painlessly.